Here is where magic happens! Totally unheated, unpasteurized and unprocessed! Greece is Anthea's paradise on earth! Our bees love visiting all flowers on the island! With an outstanding taste and aroma of the Greek sea! Anthea’s has been awarded by the Guild of Fine Food two 2-star Great Taste Awards for its Raw Thyme Honey and its Handmade Honey-Almond-Sesame Bar! What an inspiring and empowering storytelling platform Guts & Tales is! Thank you Elle Arscott for introducing Anthea’s and Veroushka’s story to people with guts! 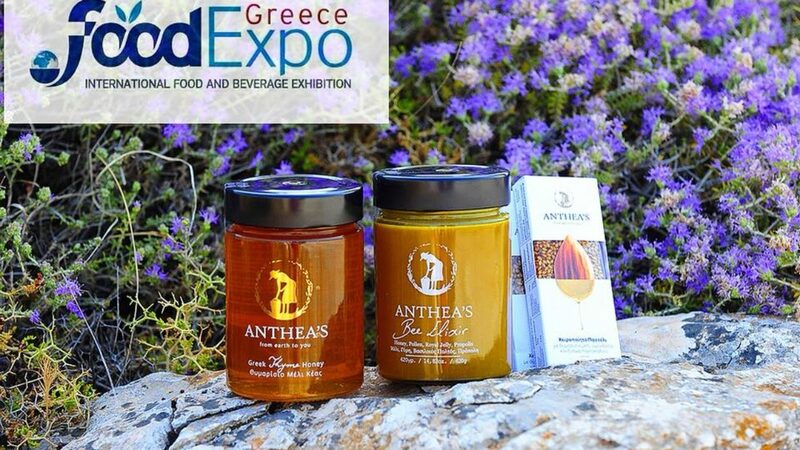 We are happy to announce that Anthea’s will be participating in this year’s International Food & Beverage Trade Show “FOOD EXPO” 2018 in Greece!